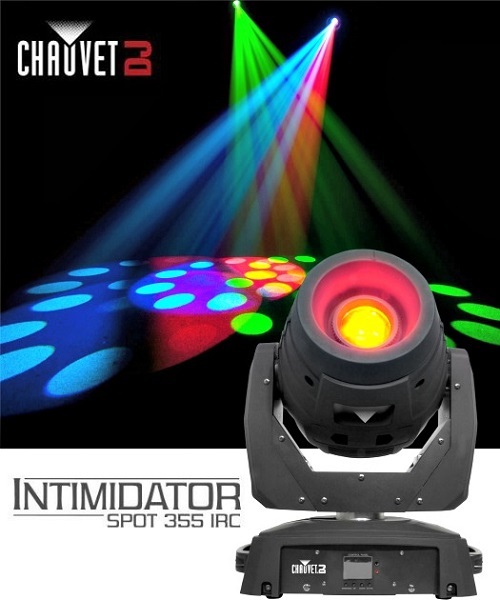 Intimidator Spot 355 IRC is a feature-packed moving head spot fitted with a 90 W LED. 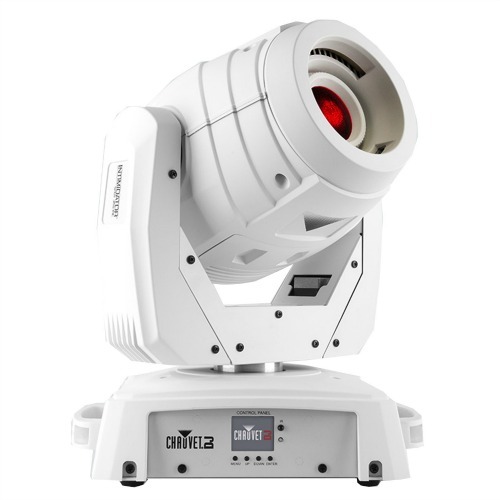 The rotating 3-facet prism can split the beam to expand the coverage area while the manual zoom can increase the throw distance. 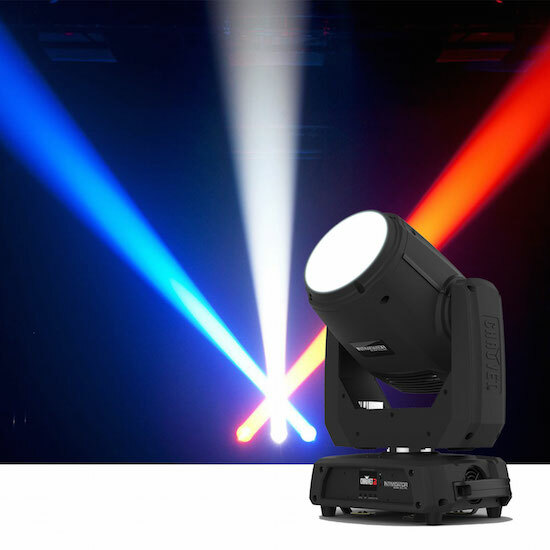 Other features include an easy-access gobo door that makes it simple to change gobos for customized looks and a Totem mode that keeps beams focused on the dance floor. 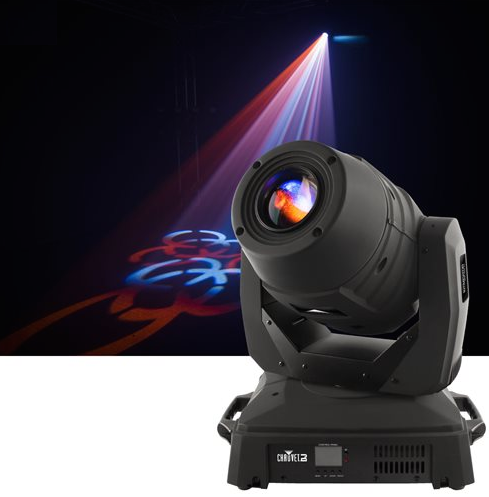 Up to four fixtures can be linked to create eye-catching, synchronized shows in automated or sound mode. 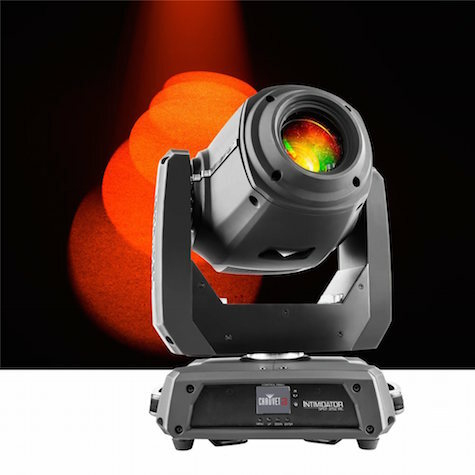 Set, save, and recall one scene directly from the full-color LCD display. Generate a synchronized show in master/slave mode with easy-to-access, built-in automated programs. Multiple units can be power linked to save time running cables and extension cords. Travels safely in the optional flight case Intimidator Road Case S35X.